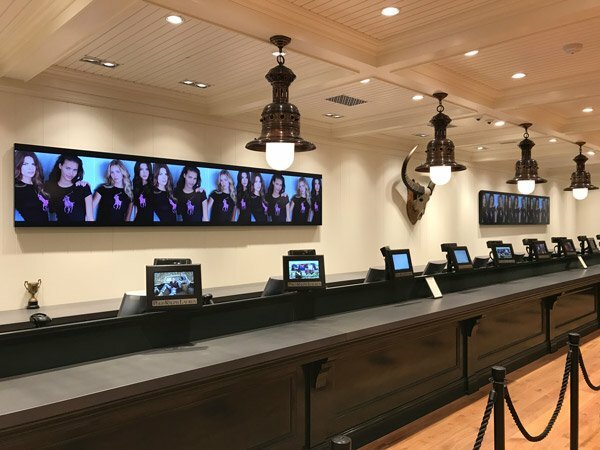 We build video walls for some of the world’s leading brands and have the expertise to ensure that your video wall project is a success. Working with the latest in LCD & LED video wall technologies we will create a show stopping display that is guaranteed to wow your audience. 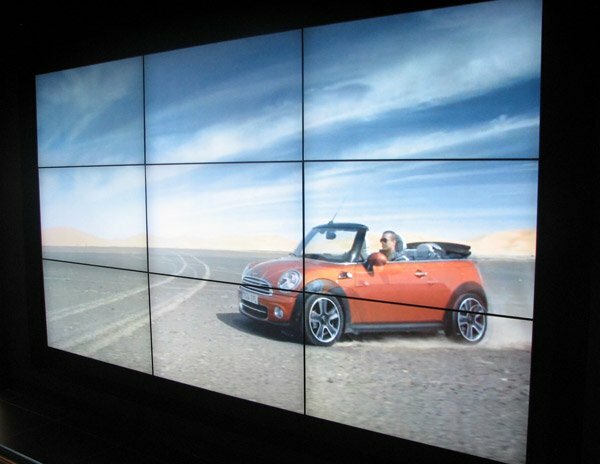 We offer a complete end-to-end service to ensure the absolute best combination of content and hardware to achieve visually stunning video walls in any shape & size, worldwide. Beginning with product demonstrations & hardware evaluation will we take the time to show you the latest video wall technologies to ensure that your video wall will not only look amazing but is perfectly suited to your unique environment, content & budget in order to achieve your business goals & provide a realistic ROI. 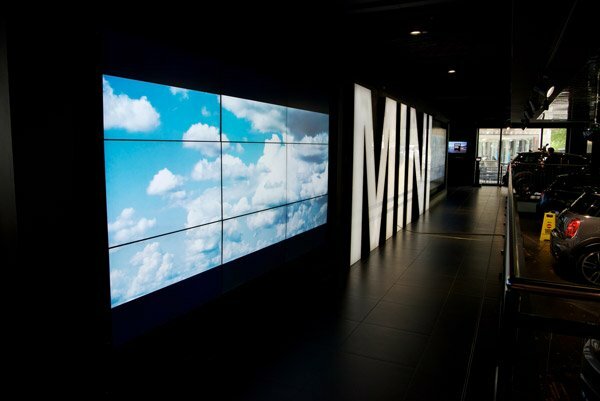 Video walls rely on amazing picture & video content so we can provide you with a wide range of graphic design services and digital signage systems, with a thorough understanding of video processing and video distribution, to ensure that your content is a the very forefront and delivers a genuinely stunning video wall display. 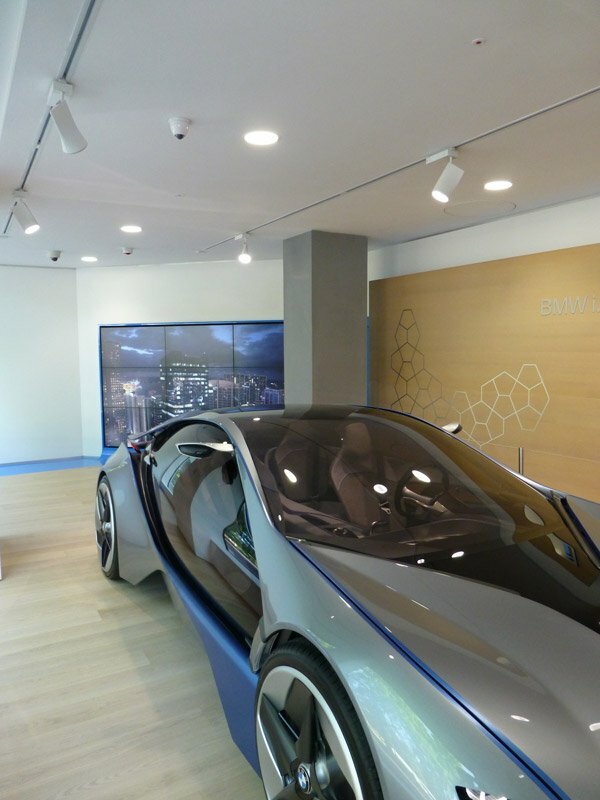 Working closely with architects, project managers and building contractors we understand the complexities involved in delivering video walls in a variety of vertical markets, including; retail stores, transport terminals, sports stadiums, hotels, TV Broadcast studios, theme parks, control rooms, car showrooms, corporate reception areas and more. We supply video walls in all shapes and sizes and are focussed on delivering the best possible video walls within our industry for our clients. See below for our current LCD and LED video wall packages in the most popular sizes, please get in touch to place an order or discuss your requirements. Save with the Eco model! 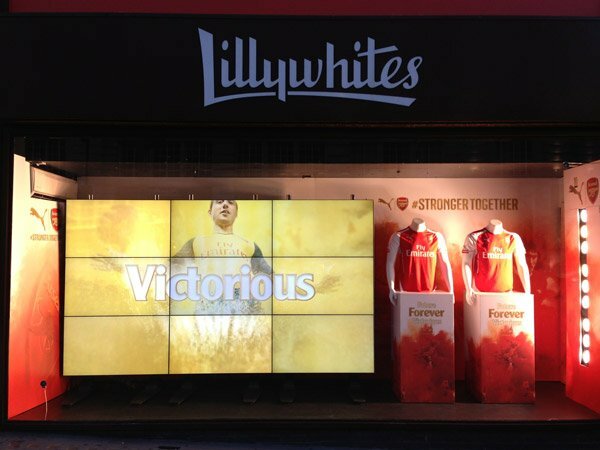 We supply video walls in all shapes and sizes. 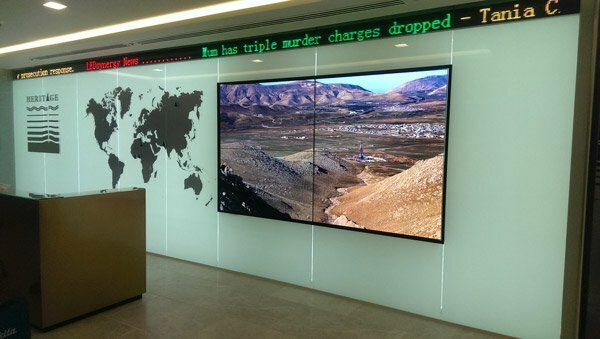 LCD video walls are created by combining individual LCD video wall screens together to form one large display area and very large screens sizes can be created in this way. 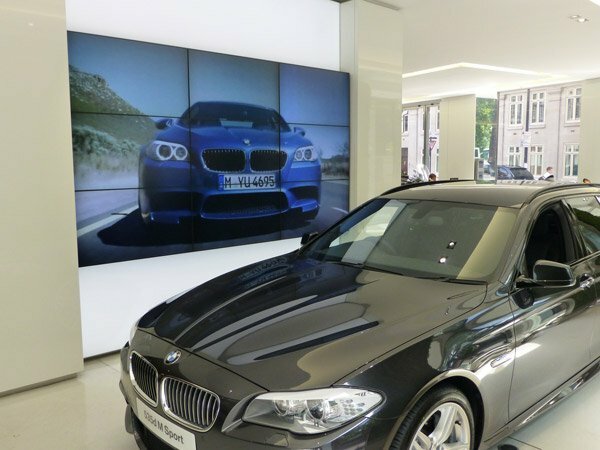 LCD video walls offer high levels of resolution & image quality and so are suitable for areas where content has to be viewed at close range and therefore generally suit a wide range of indoor applications. 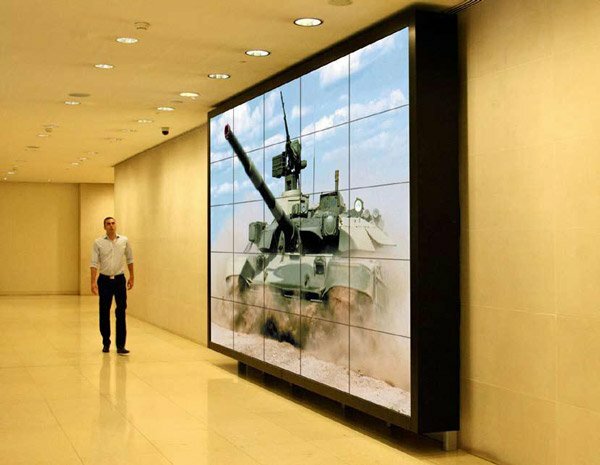 The main considerations when choosing an LCD video wall will be individual screen price & the size of the image seam (the total distance between adjacent screens). A smaller image seam will of course create a more seamless image but will generally cost more. – Low brightness: Approx. 500 cd/m², suitable for low levels of ambient light, often classed as ‘Eco friendly’ screens as they inherently use less power. – Normal brightness: Approx. 700 cd/m², suitable for most internal environments such as shops and offices. – High brightness: Approx. 1,500 cd/m² and upwards. 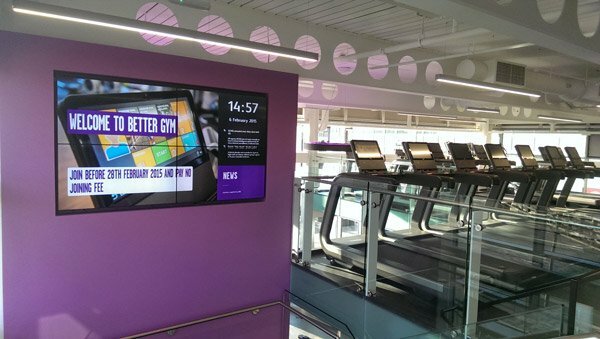 These types of video walls screens are suitable for use near windows or areas that suffer from high levels of ambient light. 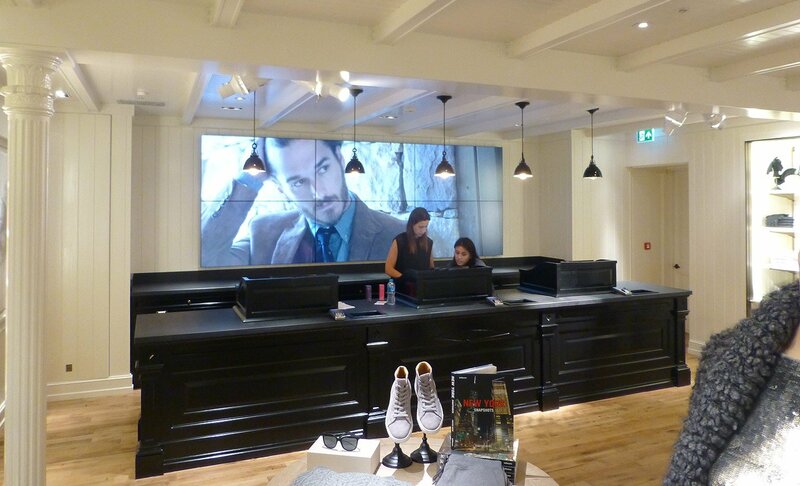 However, if you are looking for a video wall in an area that suffers from direct sunlight, such as a south facing shop window, then an LED video wall may be better suited to your requirements. The overall shape of the display area, the number of different video inputs, the type of content you wish to show, how best to manage that content & what physical access is required for both installation & ongoing maintenance of the video wall screens are also important factors. 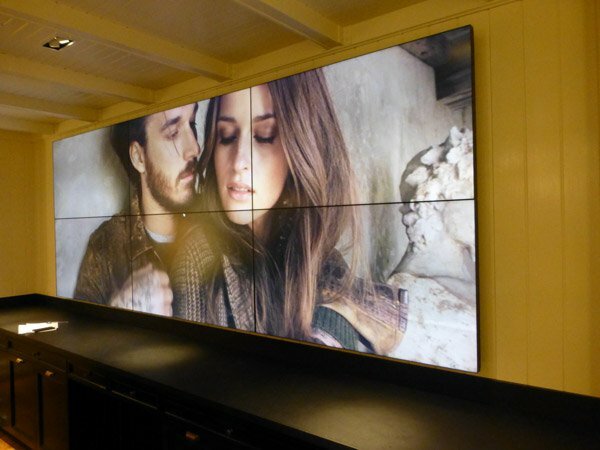 There are now more LCD video wall screens available than ever before so please get in touch and we will help you to decide which one is best suited to your requirements. 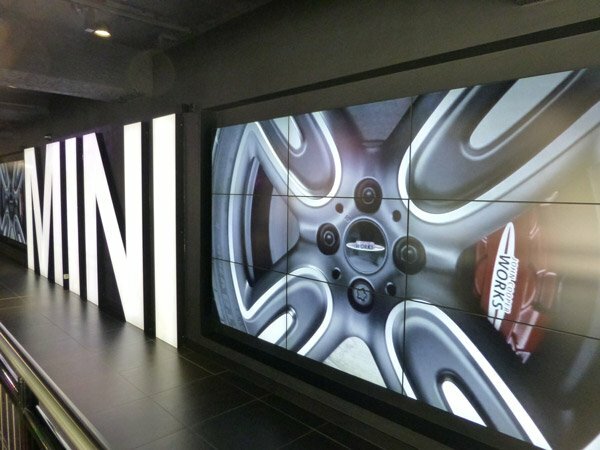 LED video walls are created by combining smaller LED tiles together to create one seamless display canvass and almost any screen size imaginable can be created in this way. High Brightness An LED video wall consists of displaying picture or video content using ‘Light Emitting Diodes’, which are based on semiconductor compounds that convert power directly into light. The advantage of this technology is that an extremely high luminosity is produced which means LED video walls are bright enough to display clear video & pictures even in direct sunlight. 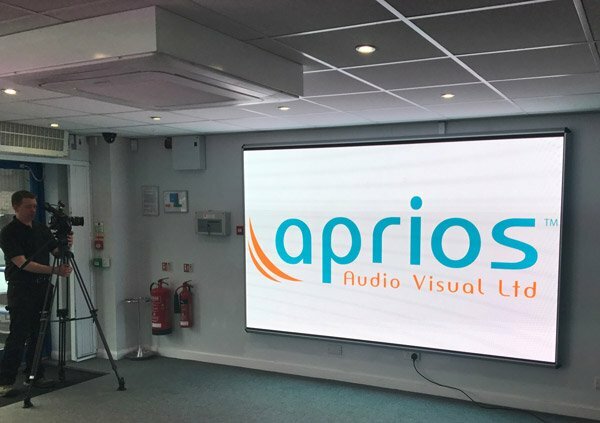 Seamless The way that LED video wall displays are built using smaller LED panels or tiles also means that an LED video wall display is completely seamless with no gaps between neighbouring panels which creates extremely powerful displays that are full of wow factor. 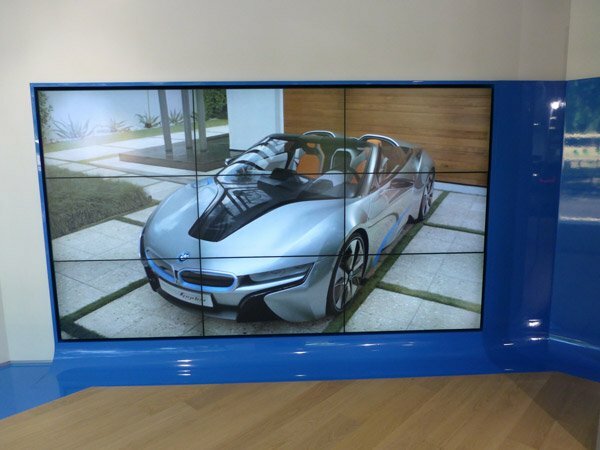 Custom Screen Sizes LED video walls can be made in almost any shape & size imaginable. The small size of the individual LED panels, that are combined to create one large LED video wall display, means that they are more flexible in terms of creating a video wall that may need to fit into a certain sized space within your building. 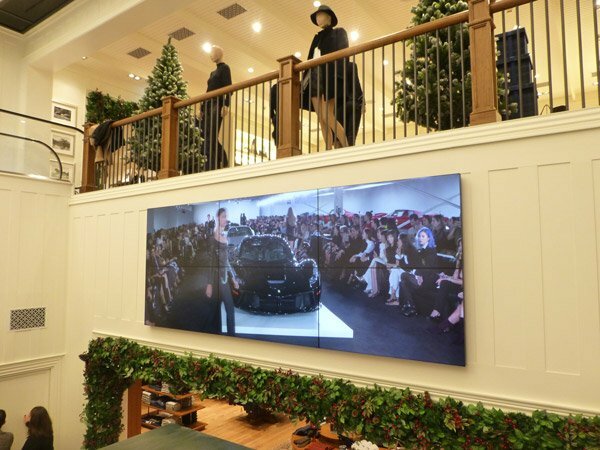 Most LED video walls are generally rectangular in shape but recent technology advances mean that screens can now be concave, convex or indeed any shape you want. 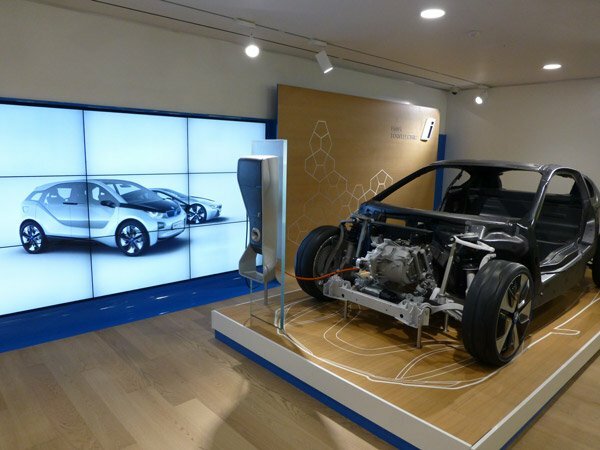 Flexible Installation LED video walls are usually mounted to a secondary support structure, such as steel, but new lightweight & stronger structures made from carbon fibre are also available. 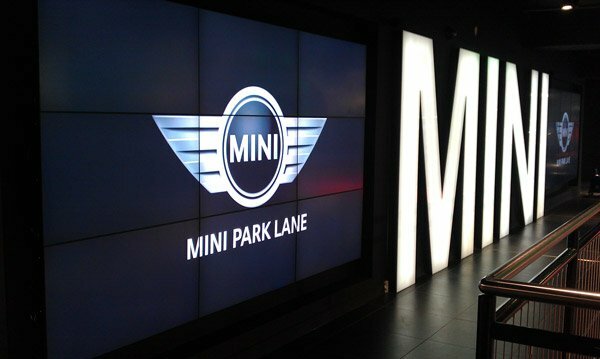 In the past LED video wall screens where mainly developed for outdoor use but now large LED video wall screens that have been specifically designed for indoor use in areas such as airports and shopping centres where high brightness levels and low viewing distances are key considerations are more commonplace. 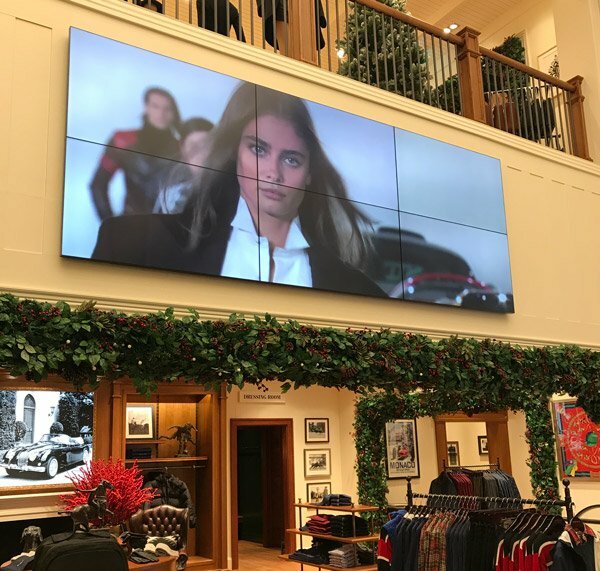 Indoors or Outdoors LED video walls can be specified for indoor or outdoor use and are the only serious choice for outdoor display screens as they are only display technology that can cope with direct sunlight. Picture Quality & Minimum Viewing Distances LED video wall technologies now offer superior black levels, greatly improved contrast ratios and longer operating lives. The only potential drawback to an LED video wall is the minimum viewing distance. Typically each individual LED represents one pixel in your overall level of image resolution. The distance between each individual LED is known as the ‘Pitch’ level and this is measured in millimetres. A low ‘Pitch’ figure means that more individual LEDs are used to create the image, which in turn results in better image quality and a lower minimum viewing distance. LED Pitch levels can vary depending on the shape, size and content that you need to work with but the typical levels of ‘Pitch’ are 1.6mm, 1.9mm, 2.4mm, 3.2mm, 4mm & 5mm. Lower pitch levels will offer the best image quality but also cost more. How does a pitch level affect viewing distance? For example, as a general rule of thumb if an LED video wall has a pitch level of 3mm then you will need a minimum viewing distance of approx. 3 metres in order to see content clearly. If your audience is closer to the screen than this then they may have trouble seeing everything properly. On the other hand maximum viewing distances are not a problem and the further away the audience is from the screen the better the image quality will appear. As such higher pitch levels can also be used to keep the price down in areas where the minimum viewing distance is not a concern. 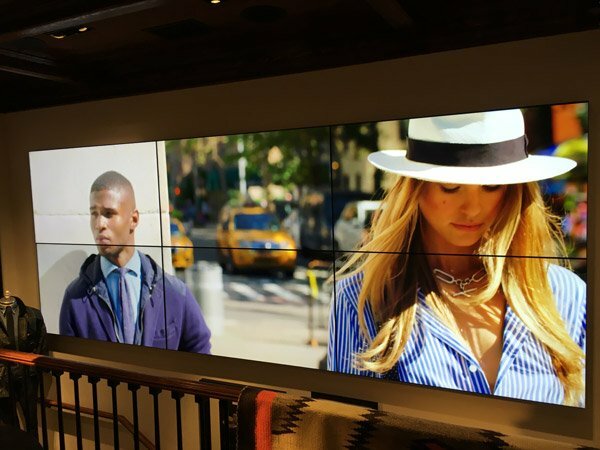 LED video walls Overall screen size, image quality, minimum viewing distance, available content, budget & ROI are the main considerations for all LED video wall projects. We are proud to work with the leading manufacturers of LED displays worldwide & can offer you unrivalled expertise in this area. Our service includes concept design, project planning, system installation as well as video content creation, content management systems & ongoing maintenance & support services. Once you have selected your preferred screen you then need to consider the installation side of things. This will include items such as video wall mounting brackets, cabling, video signal distribution hardware, video processors, content management systems, power distribution, equipment storage, custom surrounds and the actual installation itself. 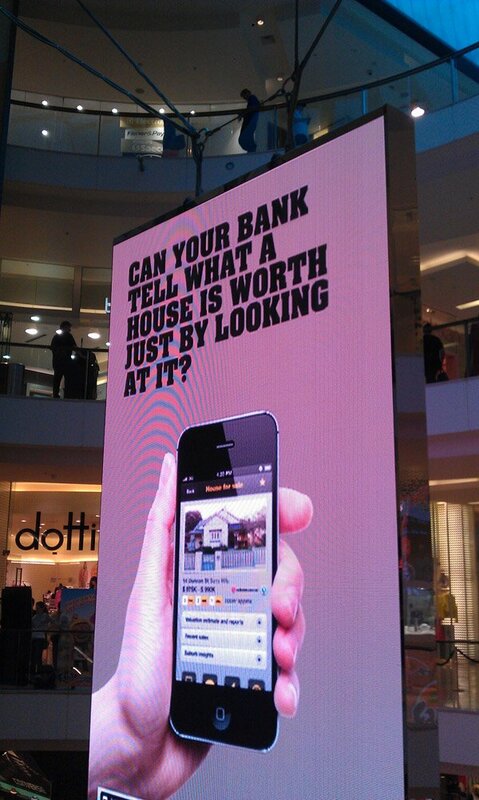 Video walls are usually wall mounted but can also be hung from a ceiling or mounted on a floor stand if necessary. Video Processors: Video processors are separate pieces of equipment that are sometimes needed to correctly scale and size your picture & video content so it appears as normal when displayed on a large screen. 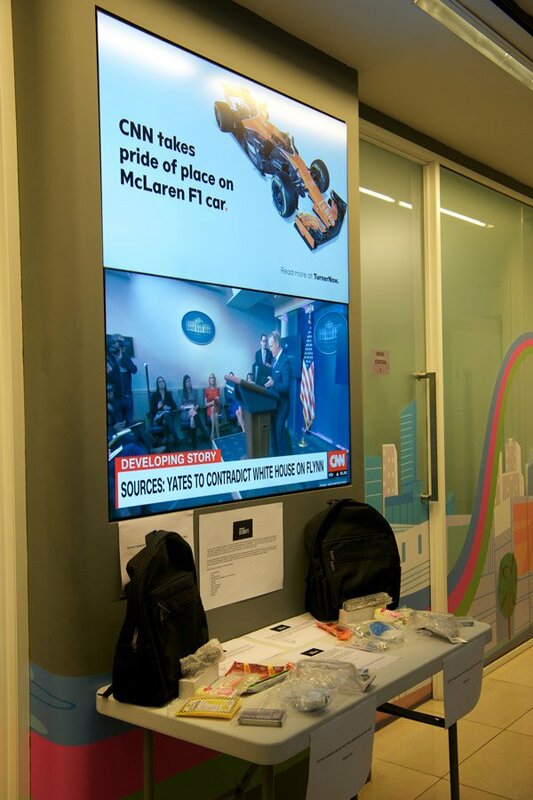 Simple video processors are often included with LCD video wall displays and will just scale your content so it appears as one large image. More complex ones that will enable several different types of video content to be shown on the screen simultaneously and handle odd screen shapes are often bespoke to each project and sold separately. Content Management Systems: Content Management Systems (CMS) will allow you to arrange & schedule your picture and video files quickly and easily so they appear in the correct order on screen. Using these systems we can build picture and video playlists that will allow you to schedule your marketing messages to suit your typical audience at certain times of the day. Playlists can be precisely controlled and scheduled days, weeks or even months in advance if necessary and easily updated remotely when needed to keep your content looking fresh. Content is perhaps the most important part of a video wall project & as well as providing all the necessary hardware we can help you to create new digital content & also offer a fully managed service whereby we will look after everything for you.